The construction of new schools, as well as decisions regarding the closing of existing schools, influences the health, economic well-being, and the quality of life for the entire community. Since 2012, the Georgia Conservancy has been a national leader in educating communities of best practices under the Environmental Protection Division’s (EPA) School Siting Guidelines. Public school planning is often conducted with little reference to land use, transportation, urban design, community development, or environmental planning goals. Moreover, school boards, driven by both educational goals and public policies governing schools, seek large greenfield sites to locate new facilities. Consequently, school locations and design often act counter to long range community goals. The result is a fragmented growth pattern wherein new schools are built on the urban fringe and in turn attract new residential and commercial development, thereby inducing further sprawl and encouraging longer travel to school distances. The Georgia Conservancy's Sustainable Growth Program is tackling school location choice issues in a number of ways, from community workshops and training manuals to urban design studios and policy papers. The Georgia Conservancy aims to allow for greater flexibility for local districts and their communities to locate and construct schools that reflect their priorities and to shine a brighter light on true costs of school location choices. In 2014, the Georgia Conservancy facilitated a Georgia Tech College of Design Blueprints for Successful Communities studio that focused on and provided recommendations for school siting issues in four Georgia counties. Since 2011, the Georgia Conservancy has hosted community workshops to educate and provide resources to leaders, parents and citizens regarding the U.S. Environmental Protection Division's School Siting Guidelines. 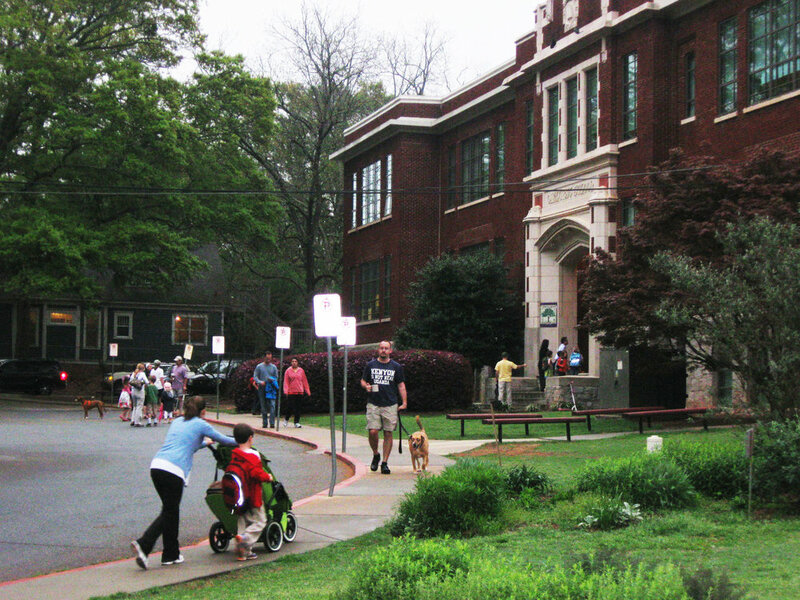 School Location Choice initiatives are a part of the Georgia Conservancy's Sustainable Growth Program. For more information on Workshops, Training and Technical Assistance, please contact Georgia Conservancy Vice President and Sustainable Growth Program Manager Katherine Moore at kmoore@gaconservancy.org or Georgia Conservancy Urban Design Lead Johanna McCrehan at jmccrehan@gaconservancy.org.